Auction Listings in Kentucky - Commercial Auction Auctions - Ford Brothers, Inc. PREVIEW DATES: Monday, April 15th, 2019 from 12:00 noon to 6:00p.m. located at 4017 Madira Dr Somerset, Ky 42503. PAY / PICK UP DATE: Tuesday, April 16th, 2019 from 12:00 noon to 6:00p.m. at 4017 Madira Dr Somerset, Ky 42503. 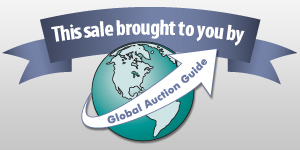 TERMS: Buyer's Premium: There will be a 10% Buyer�s Premium added to the winning bid. The sum of the winning bid plus the Buyer�s Premium will be the sales price. Online Auction Ending Times: Ford Brothers, Inc. Online Auctions are timed events and all bidding will close at specified time. Ford Brothers, Inc. Online Auctions also have an auto extend feature. If a bid is placed in the final 5 minutes of an auction, the close of the auction will be automatically extended 5 minutes from the time the bid was placed. Example: if an auction scheduled to close at 6:00 receives a bid at 5:59, the close time will automatically extend 6:04.The auto extend feature remains active until no further bids are received within a 5 minute time frame. Please monitor the countdown timer to see when the lot will close. Staggered Closing: This online auction closes in intervals. Depending on how large (# of lots) an auction is, then we set the auction to close so many lots at a time. If it is a large auction then it will be 75-100 lots at a time. If it is equipment and has 150 lots or less, then we will close the auction approx 10-25 lots a time, all in 5 minute intervals. Please monitor the countdown timer to see when the lot will close. Please check the auction announcements for detailed information regarding these intervals. This feature works great with the auto extend feature to closely emulate a live auction. All property is sold in �AS IS� and �WHERE IS� condition. ALL SALES ARE FINAL! Bidder understands and agrees that no refunds, exchanges, adjustments, charge backs, etc, will be allowed. Property is available for inspection at specified times and it is the bidder's responsibility to determine condition. Bidder's failure to inspect any item or lot will not constitute grounds for any claim, refund, adjustment, charge back, etc. All description information has been gathered from sources which we believe to be reliable but are not guaranteed. Auctioneer makes no warranty or guarantee of any kind with respect to condition, authenticity, provenance, source, condition, suitability for a particular purpose, etc. Auctioneer reserves the right to change, modify, delete any item or lot or description in the auction as may be necessary. Payment, Pickup, Shipping & Storage Terms: Pickup/Payment Info: Tuesday, April 16th, 2019 from 12:00 noon until 6:00 p.m. Accepted methods of payment are cash, cashier's check or personal/business check, Visa, Mastercard, American Express or Discover (with a 3% processing fee (minimum processing fee of $3) or wire transfer. All fees incurred by wired transfers will be paid by the purchaser. All purchases that have not been paid by Tuesday, April 16th, 2019 at 6:00 p.m. will automatically be charged to the credit card used at registration, with a 3% processing fee (minimum processing fee of $3). All purchased items must be removed by the deadline of Tuesday, April 16th, 2019 at 6:00 p.m. Any items not removed by the deadline will, at Auctioneer's discretion, be discarded or resold with proceeds retained by Auctioneer. There will be NO REFUND to the purchaser for these forfeited items. Large Item Pickup: Ford Brothers, Inc absolutely DOES NOT provide shipping, shipping preparation or transportation services for any items larger than the size of largest U.S. Postal Service flat rate box. Removal of items, moving, packaging, loading, transporting, shipping and shipping preparation (on items larger than the above stated size) are the sole responsibility of the purchaser. Shipping Preparation: Shipping and shipping preparation on items that will fit into a US Postal Service flat rate box will be subject to the following charges: $5 processing and handling fee per box. The buyer shall pay all shipping fees prior to shipping. The shipping insurance is available through most shipping companies and would be the expense of the buyer (optional). Ford Brothers, Inc. and the sellers WILL NOT be liable for any lost or damaged packages. Item Transportation: Ford Brothers must be notified via phone or email([email protected]) of any items that cannot be picked up on a Auction Pickup day, if we are NOT notified then your items will be forfeited. Any items transported back to a Ford Brothers office/facility are subject to a $5 per lot fee ($1 per coin/jewelry and $1 per lot that will fit into a 12 inch by 12 inch by 6 inch box). NO GUNS will be transferred between offices due to FFL regulations, you must pick your gun up at the location of the office that conducted the Auction. Items weighing more than 100 pounds or larger than 24 inches x 24 inches x 48 inches will not be shipped by Ford Brothers to any location. Transported items must be paid for according to the terms of the auction and will be transported at Ford Brothers� earliest convenience. Buyers MAY NOT waive payment until their items are transported. Storage of Personal Property Items: Any item stored at a Ford Brothers facility exceeding 10 business days will be subject to a $1 per day storage fee. Forfeiture of Items: Any item/lot that has not been picked up from any Ford Brothers Auction location within 30 days will, at Auctioneer's discretion, be discarded or resold with proceeds retained by the Auctioneer. SALES TAX: Kentucky Sales Tax (6%) will be added to the sale price. Dealers or other exempt parties must provide proper documentation to Auctioneer before bidding. SERVER & SOFTWARE TECHNICAL ISSUES: In the event there are technical difficulties related to the server, software or any other online auction-related technologies, Ford Brothers, Inc. reserves the right to extend bidding, continue the bidding, or close the bidding. NEITHER THE COMPANY PROVIDING THE SOFTWARE nor FORD BROTHERS, INC. SHALL BE HELD RESPONSIBLE FOR A MISSED BID OR THE FAILURE OF THE SOFTWARE TO FUNCTION PROPERLY FOR ANY REASON. Email notifications will be sent to registered bidders with updated information as deemed necessary by Ford Brothers, Inc. Any dispute between Ford Brothers, Inc, its Agents or Representatives and the Buyer(s) will be tried in a court of jurisdiction in Pulaski County, Kentucky. By bidding on the property, buyer agrees to all terms and conditions set forth. Agency: Ford Brothers, Inc.' Agents and Representatives are agents of the Seller. Buyer and or Bidder agrees to hold harmless and indemnify Ford Brothers, Inc. and its Agents and its Representatives from any and all claims, damages or suits including but not limited to awards, judgments, costs, fees, etc. Ford Brothers, Inc., reserves the right to alter this agreement at any time. This will take place by updating this site. Please check back and review these terms as every time you use this site you are agreeing to the terms as they are written at that time. Auction company employees and/or auction company may bid on and purchase auction items. BIDDER DEFAULT: Failure to complete a purchase is illegal and will result in one or more of the following (1) prosecution (2) loss of bidding privileges for Ford Brothers and all other Marknet auctions. If a bidder at any time feels his/her username, password or bidder number has been compromised due to lack of security by the bidder, notify Auctioneer immediately. For additional information, contact Ford Brothers, Inc. Auctioneers at 606-679-2212. TIME IS OF THE ESSENCE in regard to all auction terms. Announcement:Information contained herein is presented on behalf of the seller. Ford Brothers, Inc., agent for the seller, cannot guarantee the information to be correct or assume the liabilities for errors and omissions. All lines drawn on maps are approximate. Buyers should verify the information to their own satisfaction. Any announcements made from the auction block on day of auction will take precedence over any matter of print and will be final.